One Owner, Local, Trade-in, Non-smoker, Low Mileage, Air, Tilt, Cruise, Power Windows, Power Locks! According to Edmunds, the well-trimmed cabin of the Jeep Grand Cherokee provides comfy seating, and easily masters both off-road trails and daily commutes alike. 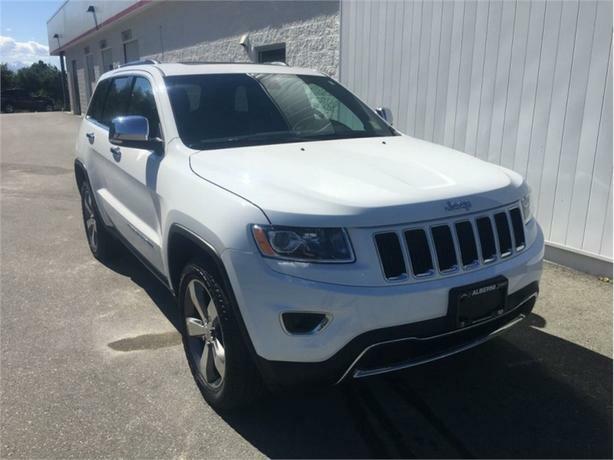 This 2015 Jeep Grand Cherokee is fresh on our lot in Port Alberni. The Jeep Grand Cherokee is the most awarded SUV ever for good reasons. With numerous best-in-class features and class-exclusive amenities, the Grand Cherokee offers drivers more than the competition. On the outside, it showcases the rugged capability to go off the beaten path while the interior offers technology and comfort beyond what you'd expect in an SUV at this price point. The Jeep Grand Cherokee is second to none when it comes to performance, safety, and style. This low mileage SUV has just 20789 kms. It's white in colour and is completely accident free based on the CarProof Report. It has an automatic transmission and is powered by a 290HP 3.6L V6 Cylinder Engine. This vehicle also has the following features: Air, Tilt, Cruise, Power Windows, Power Locks, Power Mirrors, Back Up Camera. Our Grand Cherokee's trim level is Limited. The mid-range Limited trim gives this SUV a satisfying blend of features and value. It comes with four-wheel drive with Selec-Terrain, chrome exterior trim, Uconnect with Bluetooth and SiriusXM, 2 USB ports, heated leather seats, a rearview camera, remote start, a power liftgate, a heated, leather-wrapped steering wheel, aluminum wheels, automatic headlights, a universal garage door opener, and more. To view the original window sticker for this vehicle view this http://www.chrysler.com/hostd/windowsticker/getWindowStickerPdf.do?vin=1C4RJFBGXFC747159.